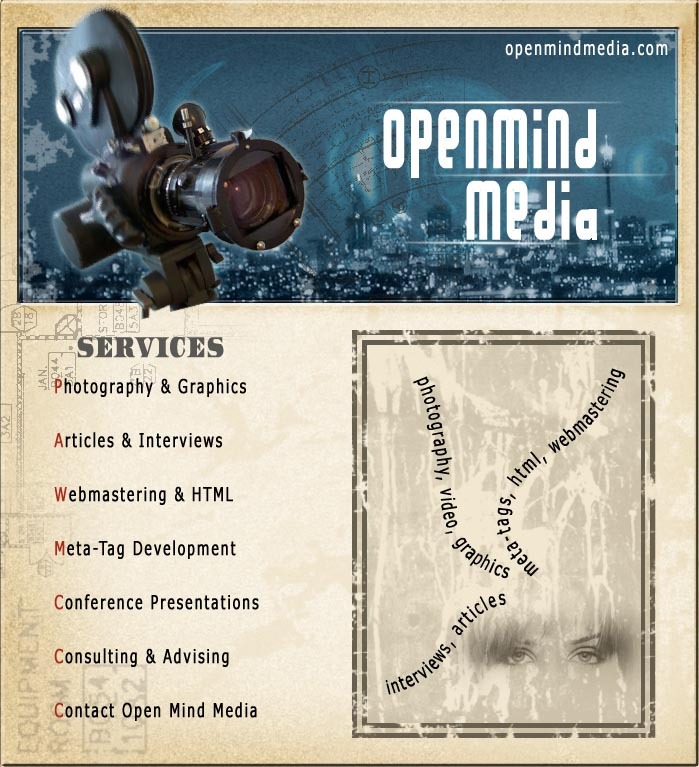 Open Mind Media, Inc. and openmindmedia.com have been online since March 31, 1999. Open Mind Music Production, openmindmedia.org, online since April 17, 2002, and openmindmedia.net, online since April 10, 2004. Open Mind Hosting aka Open Mind Media, openmindmedia.co.uk, online since December 22, 2003. Open Mind Media of openmind.tv, online since July 31, 2000. Open Mind of openmind.com, online since December 2, 1993. We are not affiliated with Canadian BC Division's "Open Mind Media Watch". We do not send spam. Open Mind Media does not send spam. A spam company is faking our return address when they send out their emails. Click here for information on how to verify this, and how to complain to the spammer.